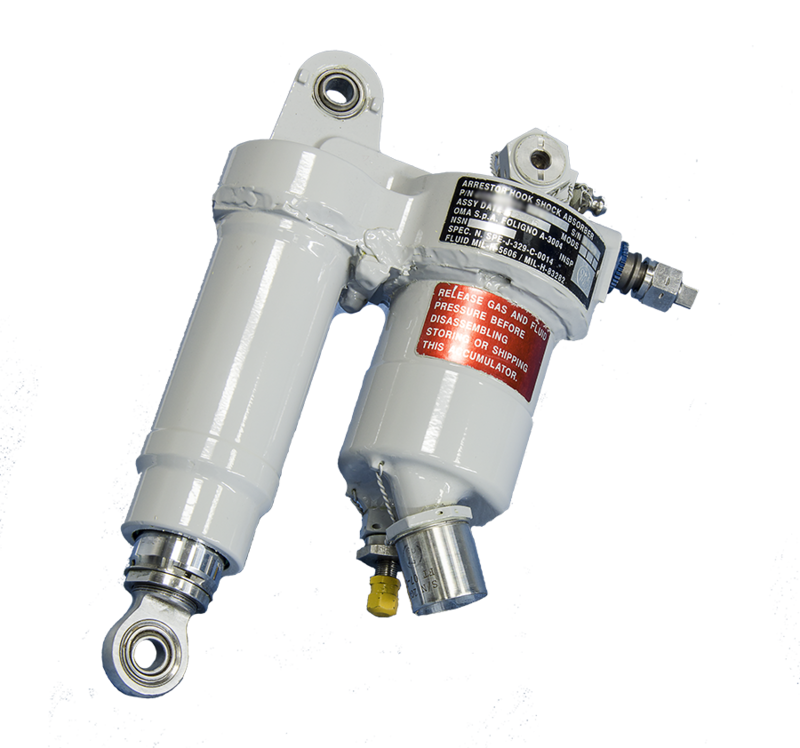 OMA hydraulic piston-type accumulators are used to supplement flow during high demand or maintain pressure to a hydraulic system while the aircraft engines are not operating. 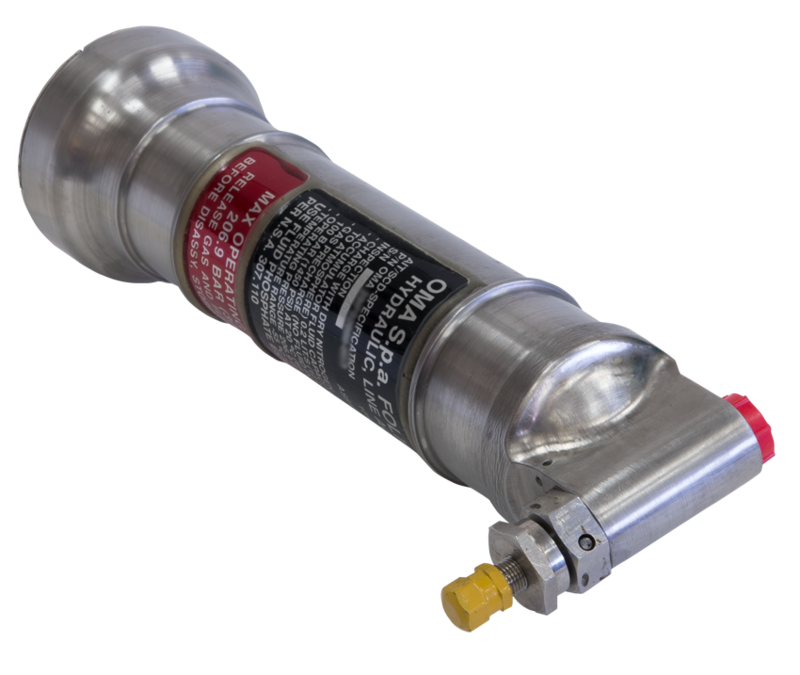 The accumulators can be equipped with electric or visual pressure indicators to allow a direct check of the gas pre-charge. OMA gained experience also on composite ballistic tolerant wrapping solutions. OMA offers proven experience and expertise in the engineering, verification and manufacture of hydraulic reservoirs both bootstrap and atmospheric type. OMA’s design solutions adopted for filter packages achieve a high level of integration of all the key elements. The packages include the filter elements, the clogging indicators (either electrical or visual type), the by-pass valves, the pressure and temperature sensors and the ground servicing quick disconnects. 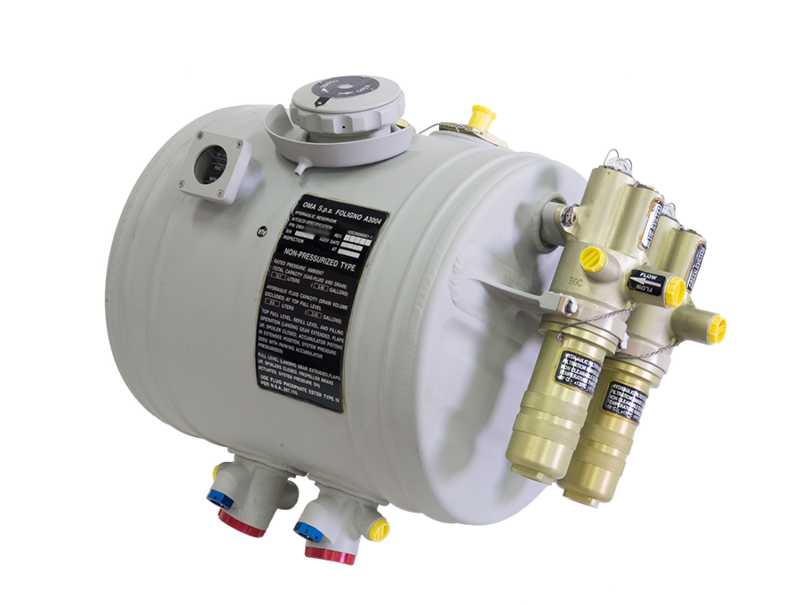 AHSA are complex equipment able to absorb high levels of kinetic energy through hydraulic flow restrictions. These devices are used to assist fighter aircraft arrest during emergency landings. 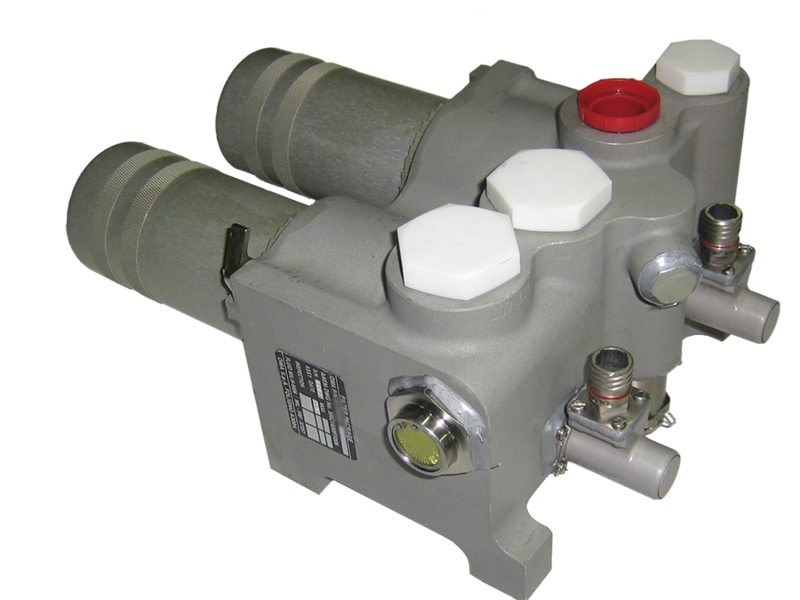 The products developed by OMA integrate into a single item an actuator, a flow control valve, a piston-type accumulator, pressure/level indicators, bleed and refill valves and an air charging valve.